There are times I come across an article on another website I think is worth sharing with you. 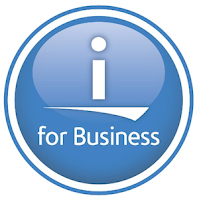 Alex Woodie's "Five IBM i facts that will surprise your CIO" is one. Trying to keep the IBM i relevant in your organization? It probably seems like an uphill battle at times, especially if you have a CIO who knows next to nothing about the platform. Here are five fun facts that may help save the platform at your organization, or at least get the CIO to give it a second look before he kicks it to the curb. You can read it here, and feel free to share it with the "AS400 is dead" naysayers.